The Medical Assistant Training Program consists of three courses (MA IA, MA IB, and MA II). 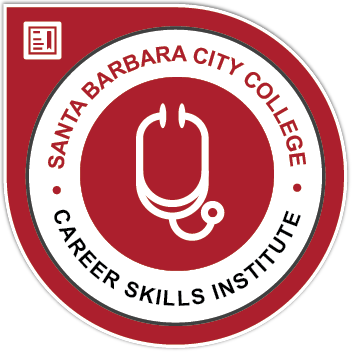 These courses include content related to front office administrative duties, back office clinical duties, and job readiness skills of a Medical Assistant. The program prepares students to work as entry-level medical assistants in medical offices or clinics. Medical Assistant IA: Administrative and Clinical Skills Part 1| AH NC005 | First of a two-part course that prepares students for entry-level Medical Assisting. The Administrative (Front Office) component includes HIPAA including legal regulations, medical records, patient reception, and appointment scheduling. Clinical (Back Office) instruction includes infection control, vital signs, diagnostic tests, assisting with primary/family and specialties (surgery, OB/GYN, and pediatrics). Medical Assistant 1B: Administrative and Clinical Skills Part Two|AH NC006| Second of a two-part course that prepares students to work as entry-level Medical Assistants. The Administrative (Front Office) component includes HIPAA and other legal regulations, medical records, patient reception, and appointment scheduling. Clinical (Back Office) instruction includes infection control, vital signs, diagnostic tests, and assisting with primary/family and specialties (surgery, OB/GYN, and pediatrics).